1. Download iPhone 3.1.2 firmware using direct download links posted here. 3. Open up iTunes. It’ll detect your iPhone. 4. Press Shift and click restore. Browse for the ipsw file you downloaded in step 1. iTunes will restore the iPhone to 3.1.2. Let it do its work. It may take some time. 5. Open redsnow (redsn0w). 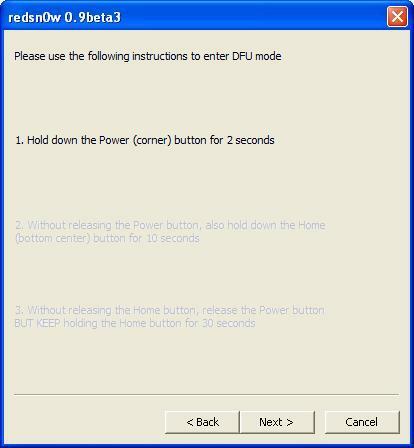 Browse for the ipsw file you downloaded in step1. It’ll verify the file. Click next. 6. Check “Install Cydia”. Also check “Unlock” if you want to unlock your iPhone. Click Next. 7. Download 3.9 and 4.6 bootloaders from here and specify their locations. Click Next. 8. Switch off your iPhone and click next. It is very important to switch off your iPhone. 10. Once done, it’ll start the jailbraking process. Relax and let it do its work. 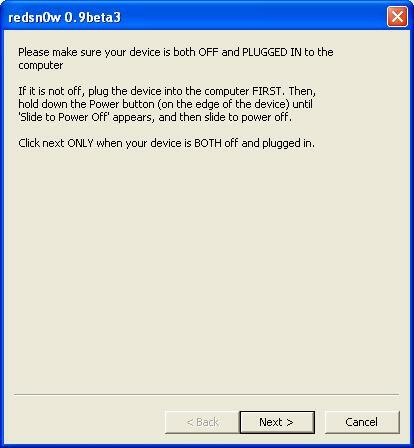 Do not interrupt or attempt to turn off the device. The jailbreak will complete in few minutes. redsnow blows snowbreeze outta water. 10/10 love the custom boot screen on my 3.1.2 iphone 3g. Same as above. NO Unlock to check. Do you have a solution already? i am so curious. excuse my ignorance but i have an already jailbroken 2g running 3.0 and want to be able to run the 3.1.3, do I still have to go thru all this just like i did to originally unlock/jailbreak it? TIA! Yup.You have to do all this again. Just follow the above guide. I would suggest going to 3.1.2 as there is no real difference between 3.1.2 and 3.1.3.
ok cool, will I have to re-install all my jailbroken apps like cycorder, etc? 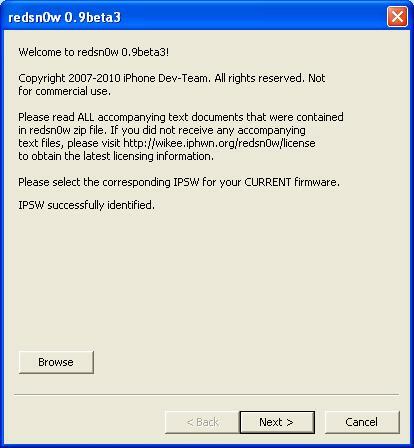 hey guys i have a iphone 3gs just bout it today 16gig 3.1.3 firmware and i was wondering if redsnow 0.9beta 5 will work?? 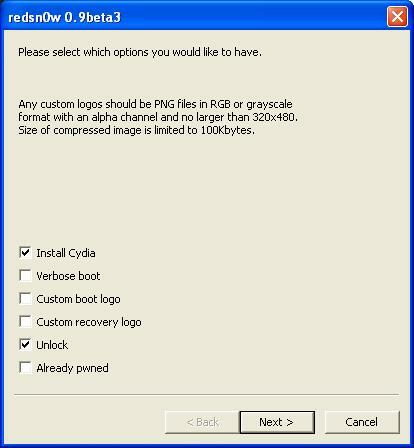 can u send me the redsnow 0.9.4 or where i can download…. like jeff I have a already jailbroken iphone and I want to download this. Will this affect any of my official app store apps? can someone give me a step by step procedure to fix this? MuscleNerd is the Great man For Jailbreaking iOS 5, iOS 4.3.5 and iOS 4.3.3 too. He is the Real Genious for the Jailbreak Community. I really admire Him. Thanx for Sharing. iPhone now jailbroken and unlocked from f***** O2. Many thanks. 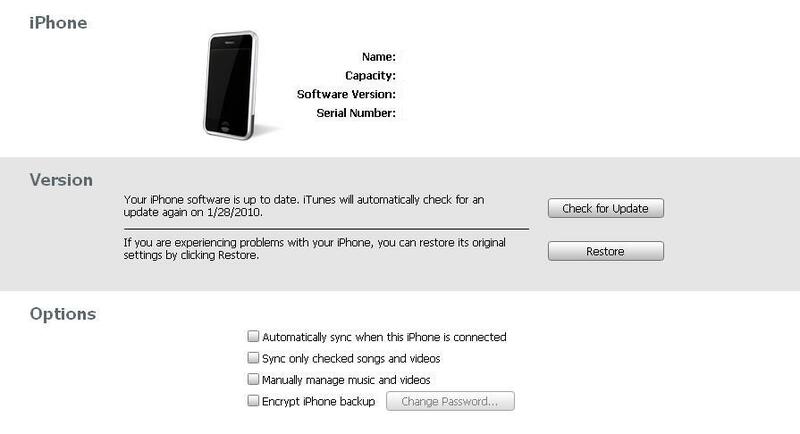 Question- If I upgrade back to the original Version 04.05.04 will it affect the unlock or Jailbreak facility or both ? Sorry for extremely late reply..If you upgrade, you will loose both jailbreak and unlock.